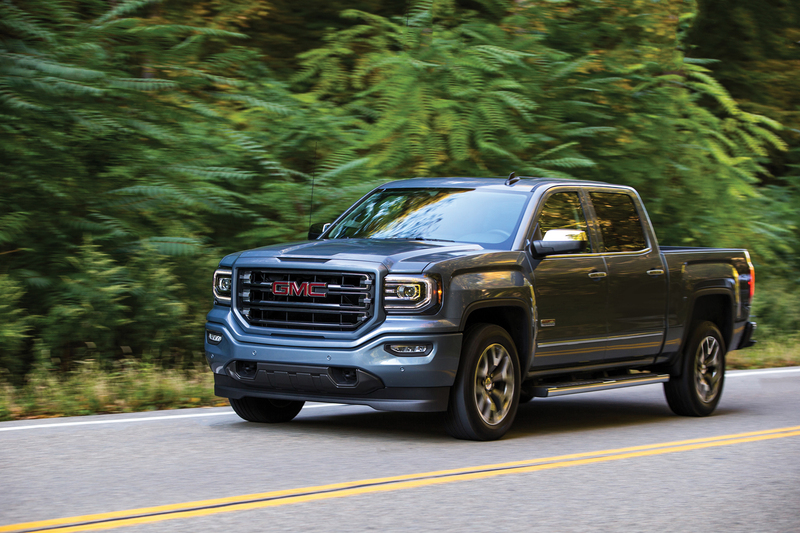 Detroit iron still rules America and one of the sharpest looking is from General Motors – the GMC Sierra SLT 1500 Crew Cab. Our test truck came with the All-Terrain X Package with Onyx Black Paint and a Jet Black interior that included 18-inch black painted wheels and a black “Sport Bar” – a factory-installed, bed-mounted roll bar. All of which instilled thumbs-up, head nods and parking lot questions from trucker’s young and old. New for 2016 are projector-beam headlamps and a new grille that is specific to each of the different trim levels available. A sharp-looking interior adds to the glamour level on our beauty. 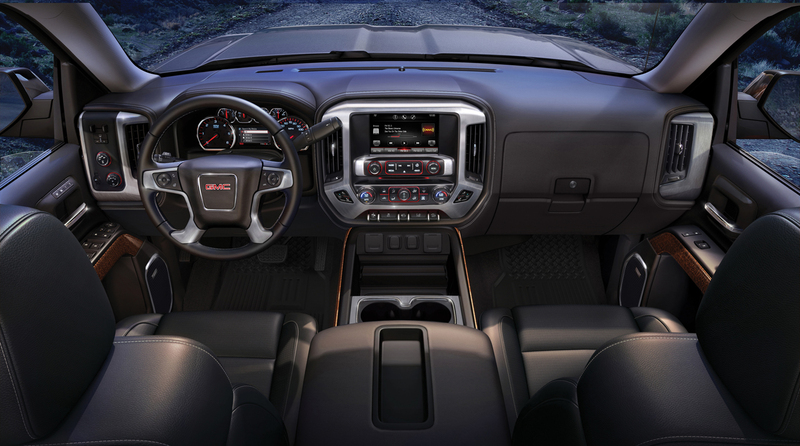 The well laid-out dash makes it easy to find what you’re looking for, like the GMC Intellilink system with 8-inch touch screen and Apple CarPlay. Our “Jimmy” featured a 5.3-liter V-8 and the new 8-speed automatic transmission. Numbers tell the story; 355-horsepower that can pull up to 11,000 pounds and gets 15 MPG-city and 21-highway. Our model’s MSRP was $56,695 with options. Toyota may have its roots in Japan but the Tundra is assembled in San Antonio. With that said, let’s talk about the “other” player in this battle of the big boys. We were supplied the TRD PRO Crewmax Tundra, a loaded up off-roader that truly looks the part in its military-like “quicksand” livery and black 18-inch wheels. Like the GMC, we received lots of “Atta boy” acknowledgements. This TRD – which stands for Toyota Racing Development – comes with special dual exhaust, front skid plate, 2.5” Bilstein shocks with remote reservoirs, and leather trimmed, 10-way, power adjusting, driver seat. The Tundra boasts a 5.7-liter power plant that is one of the smoothest V-8’s we’ve driven. It gets 13-MPG city and 17-highway. The automatic 4-wheel drive system is connected to a six-speed automatic transmission. The comfortable, roomy interior features Toyota’s Entune infotainment system that gets a 7-inch center-dash touch screen. What we really like is Toyota’s packaging of accessories. 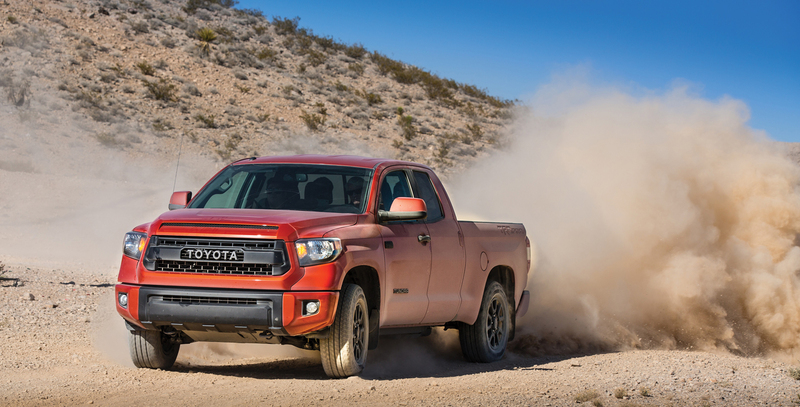 Our Tundra TRD Pro Crewmax has no add-on’s and starts at $46,255.